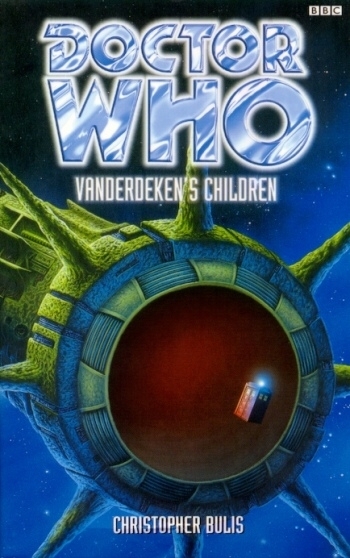 Welcome to the EDA area of the Books Guide section of DWO! 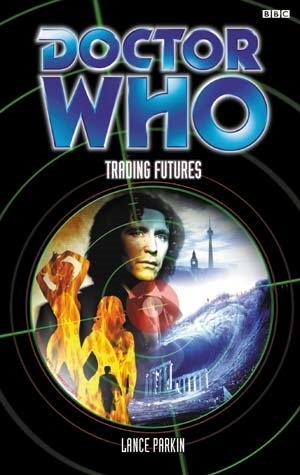 Here you will find details of all the BBC Books - Eighth Doctor Adventures, as well as purchasing options. 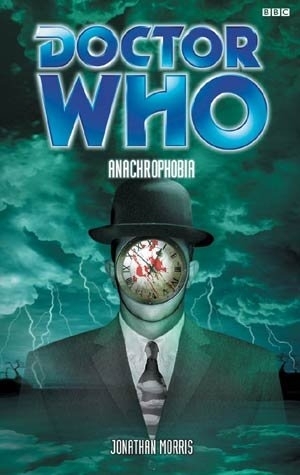 When he recovers, the disorientated Doctor looks in a mirror and sees the face of a stranger. He knows only that he is called the Doctor - nothing more. But something deep inside tells him to trust the TARDIS, and his hands move over the controls of their own accord. 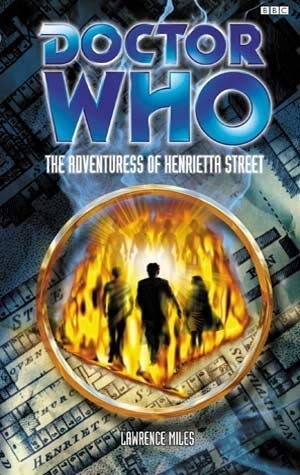 The TARDIS takes him to a strangely familiar junkyard in late-nineties London, where he is flung into a confrontation between local drug-dealers and Samantha Jones, a rebellious teenager from Coal Hill School. 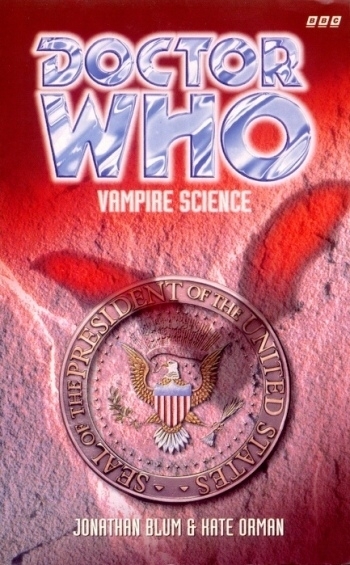 In the days when the Time Lords were young, their war with the Vampires cost trillions of lives on countless worlds. Now the Vampires have been sighted again, in San Francisco Some want to coexist with humans, using genetic engineering in a macabre experiment to find a new source of blood. But some would rather go out in a blaze of glory - and UNIT's attempts to contain them could provoke another devastating war. The Doctor strikes a dangerous bargain, but even he might not be able to keep the city from getting caught in the crossfire. 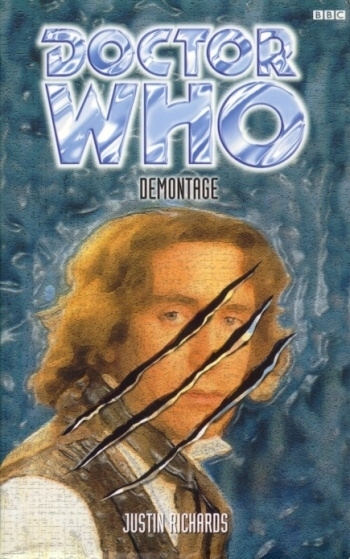 While he finds himself caught in a web of old feuds and high-tech schemes, his new companion Sam finds just how deadly travelling with the Doctor can be. It is London, 1894. Amid the fog, cold and degradation, a gruesome business is being conducted. The bodies of the dead are being stolen from their graves - men, women and children alike - for the sinister purpose of a very mysterious gentleman. When another ship approaches and takes the Quetzel by force, the Doctor discovers that he and Sam are not the only unwitting travellers on board - there is a strangely familiar survival pod in the hold. Delani, the captain of the second ship, orders the pod to be opened. The Doctor is powerless to intervene as Davros is awakened once again. 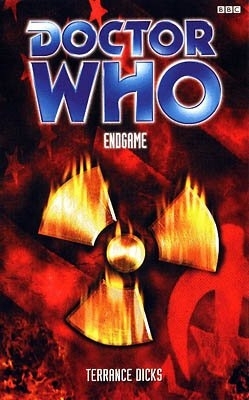 When the Doctor and Sam arrive in the city, the Time Lord soon realises they've walked into the middle of the strangest auction in history - and what's on sale to the highest bidder is something more horrifying than even the Doctor could have imagined, something that could change his life forever. And just when it seems things can't get any worse, the Doctor finds out who else is on the guest list. 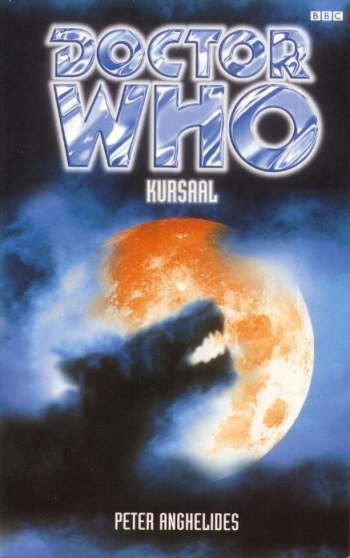 Kursaal is a pleasure world, a huge theme park for the Cronus System — or rather it will be if it isn't destroyed during construction. Eco-terrorists want the project halted to preserve vital archaeological sites -- areas containing the last remains of the long-dead Jax, an ancient wolf-like race whose remains are being buried beneath the big-business tourist attractions. Sam falls in with the environmentalists, and finds her loyalties divided. 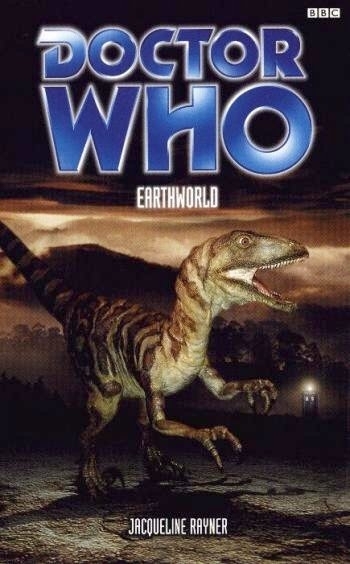 Meanwhile, the Doctor's own investigations lead him to believe the Jax are not extinct after all. Landing in present-day England, all appears serene as the Doctor and Sam emerge from the TARDIS into the idyllic grounds of the Silver family’s ancestral home. Only when they enter the house do they suspect things are not what they seem. Its surface ravaged by colliding time-fields, the planet Hirath is a patchwork of habitable areas separated by impenetrable zones of wild temporal fluctuation. The planet’s unique biosphere is being exploited by an uncaring company happy to rent out temporally isolated chunks of the planet to the highest bidder -- no questions asked. But the controlling computer seems to be malfunctioning, and the viability of the whole planet hangs in the balance -- along with countless thousands of lives. 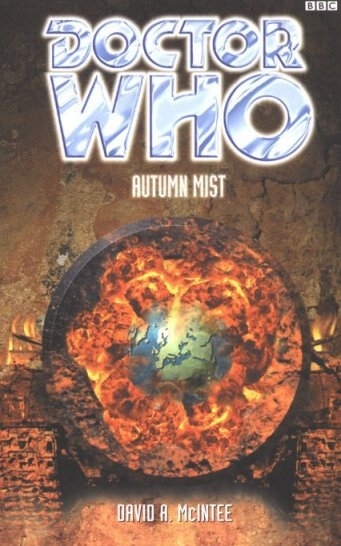 Arriving at Hirath’s control base, the Doctor and Sam are soon separated and trapped on the dying planet. 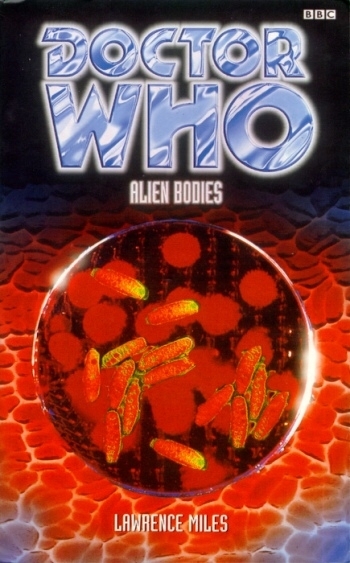 While Sam becomes the focus of attention in a barren penal settlement, the Doctor discovers the secret of Hirath’s unique condition - just as a race of hideous bloodthirsty alien creatures arrive in force to reclaim it. 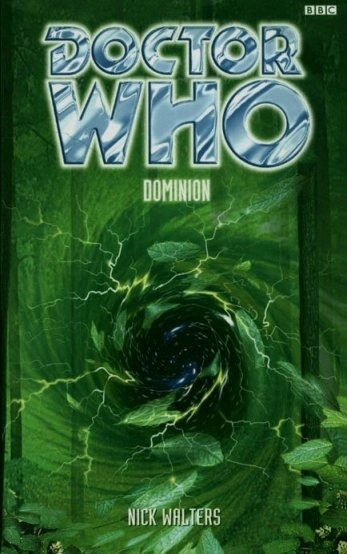 While searching for his lost companion, Sam, the Doctor finds himself in Domain London. But it seems that Susan is now missing too, and his efforts to find her lead to confrontation with the ambitious Lord Haldoran, who is poised to take control of southern England through all-out war. With the help of a sinister advisor, Haldoran’s plans are already well advanced. Power cables have been fed down a mineshaft, reactivating a mysterious old device of hideous power. 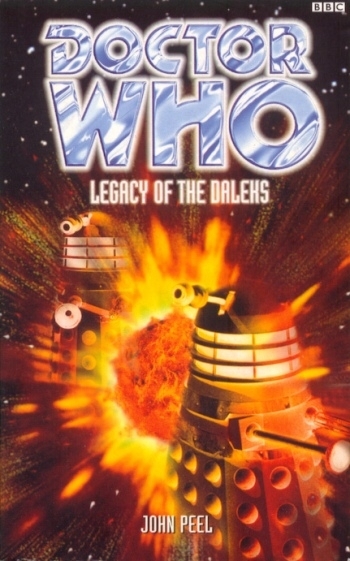 But has the Dalek presence on Earth really been wiped out? Or are there still traps set for the unwary? Sam is on her own, but her distance from the Doctor doesn’t make for a trouble-free life. 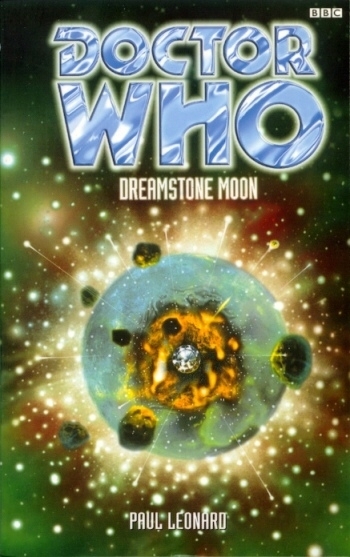 Rescued from an out-of-control spaceship, she finds herself on a tiny moon which is the only known source of dreamstone, a mysterious crystalline substance that can preserve your dreams -- or give you nightmares. Pitched into the middle of a conflict between the mining company extracting dreamstone and ecological protesters, Sam thinks it’s easy to decide who the good guys are -- until people start dying, and the killers seem to be the same species as some of her new friends. Sam is homeless on the streets of the colony world of Ha'olam, trying to face what’s just happened between her and the Doctor. He’s searching for her, and for answers. 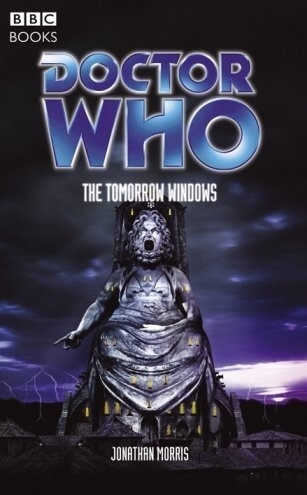 While she struggles to survive in a strange city centuries from home, the Doctor comes across evidence of alien involvement in the local mega-corporation, INC - and is soon confined to a prison that becomes a hell of his own making. Where did INC’s mysterious eye implants really come from? What is the company searching for in the deserts? What is hiding in the shadows, watching their progress? 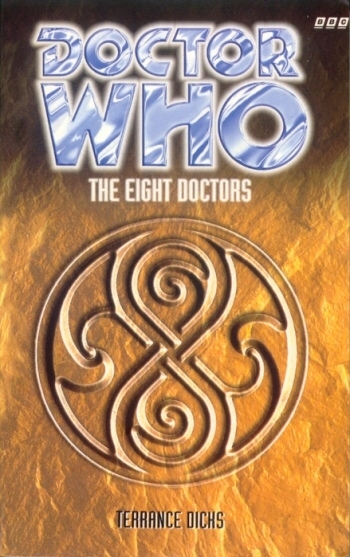 Faced with these mysteries, separated by half a world, Sam and the Doctor each face a battle - Sam to rebuild her life, the Doctor to stay sane. And if they find each other again, what will be left of either of them? 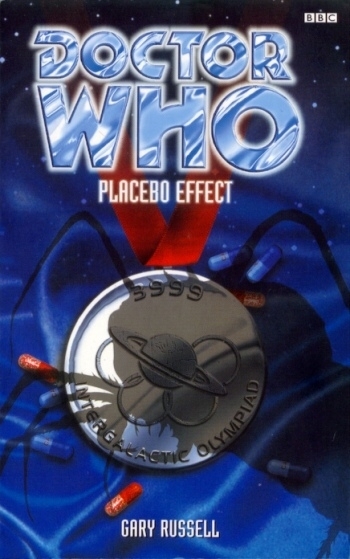 The Doctor finds himself drafted in to examine some bizarre new drugs that are said to enhance the natural potential of the competing athletes. But what is their real purpose? Why are members of the Security Forces disappearing randomly? And just why is Chase Carrington, manufacturer of the drug, so protective of his company’s secrets? 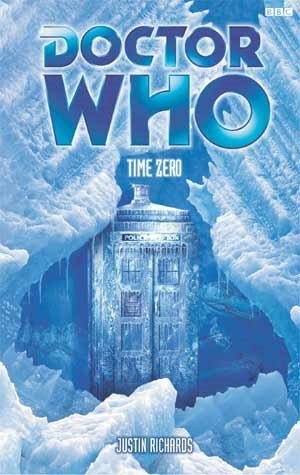 A mysterious disturbance in the hyperspatial vortex causes the Doctor and Sam to materialise the TARDIS in deep space. Here they find that a huge derelict alien craft has become the subject of a dangerous confrontation between starships from the rival systems of Nimos and Emindar. At the center of the dispute is a ruthless politician with secrets of his own -- a man who is willing to risk innocent lives to claim the derelict for himself. 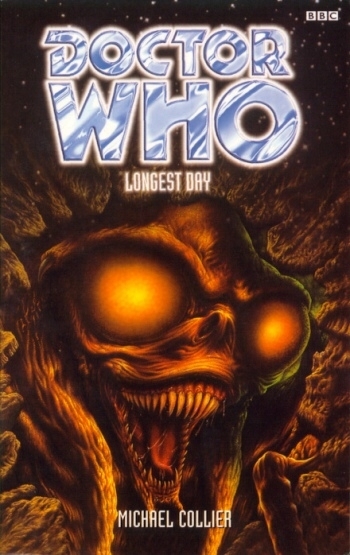 Arriving on the almost impossibly ancient planet of Hyspero, a world where magic and danger walk hand in hand, the Doctor and Sam are caught up in a bizarre struggle for survival. 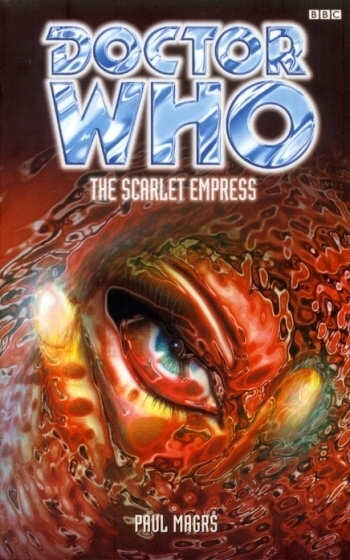 Hyspero has been ruled for thousands of years by the Scarlet Empresses, creatures of dangerous powers -- powers that a member of the Doctor’s own race is keen to possess herself: the eccentric time traveller and philanderer known only as Iris Wildthyme. 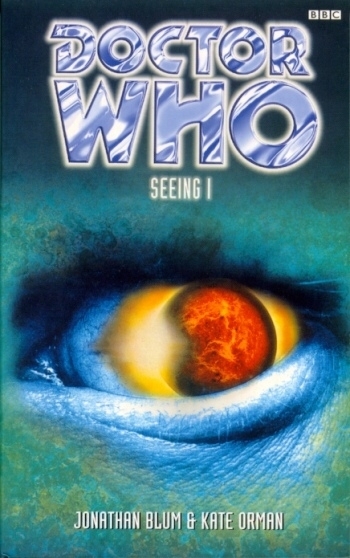 As the real reasons for Iris’s obsession become clear, the Doctor and Sam must embark on a perilous journey across deserts, mountains, forests and oceans. Both friends and foes are found among spirits, djinns, alligator men and golden bears -- but in a land where the magical is possible, is anything really as it seems? 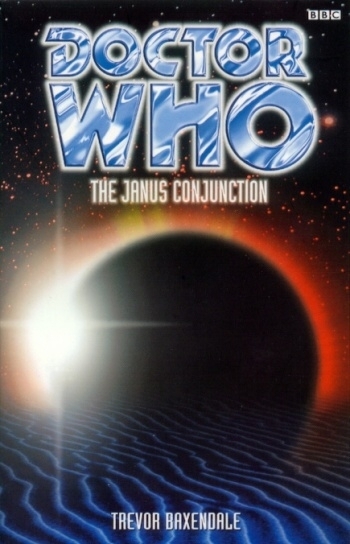 The planets Janus Prime and Menda are diametrically opposed in orbit around a vast Red Giant star. But while Menda is rich and fertile in the light of the sun, Janus Prime endures everlasting night, its moon causing a permanent solar eclipse. When the Doctor and Sam arrive on Janus Prime, they find themselves in the middle of a war between rival humans colonising the area. The planet is littered with ancient ruins, and the Mendans are using a mysterious hyperspatial link left behind by the planet’s former inhabitants. But what is its true purpose? The Doctor and Sam must piece together a centuries-old puzzle. How can Janus Prime’s moon weigh billions of tons more than it should? Why is the planet riddled with deadly radiation? 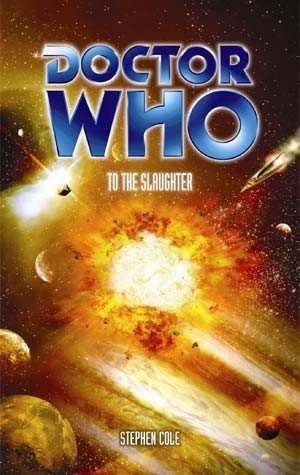 As the violence escalates around them, will the time travellers survive to discover the answers? 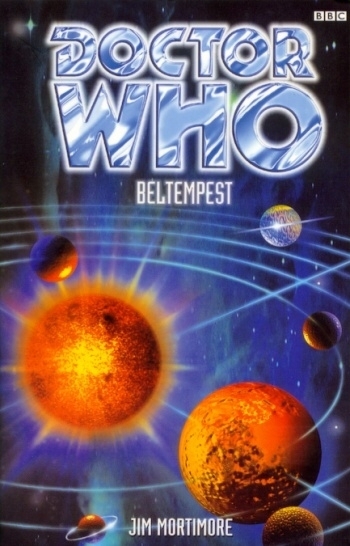 100,000 years later, the Doctor and Sam arrive on Bellania IV, where the population is under threat as disaster looms -- immense gravitational and dimensional disturbances are surging through this area of space. The Doctor and Sam arrive on Proxima II, one of the earliest planets colonised in humanity’s first big push into space. But instead of a brave new world, they find a settlement rife with superstition and unrest. The native Proximans are inexplicably dying out. Humans too are being killed in horrific ways, with each face being stripped bare. The TARDIS has finally brought the Doctor and Sam back to Earth -- and straight into danger. It is 1963. Six very different people have been gathered together for study by parapsychologist Charles Roley in his stately home outside London. All of them claim to have been possessed by the devil, and all have shared similar delusions -- they describe the same bizarre 'death cave' riddled with demons. 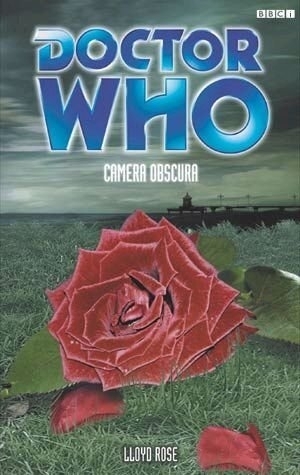 Roley's experiments are having a gradual yet terrifying effect on his subjects, and the Doctor and Sam discover the connections between those tainted with the madness are more disturbing than anyone could guess. For the Doctor, too, has seen the cave they describe -- on a dead world, billions of years ago. The Vega Station -- a haven for gamblers, art lovers and duty-free shoppers, the one place where the Battrulians and their erstwhile enemies, the Canvine, meet and mix, in neutral space. A pressure point, an explosive mixture. And just as the new President of Battrul is about to arrive, the TARDIS crew turn up. Fitz is in trouble. He’s accidentally got himself hired as an assassin while trying to emulate James Bond. And he’s upset Bigdog Caruso, the unofficial Canvine leader on Vega. Sam is in trouble. She’s become involved with the key witness to a murder, and the witness has vanished. The Doctor, meanwhile, has been roped in to help with investigations into robbery, sabotage and the murder, as well as to sort out Fitz’s problems, Sam's problems and the President's safety. He’s in his element. And if they should get bored, there’s a hitman on the loose, monsters roaming the station corridors, an exhibition of art by a painter who depicted his own death, and the opera. 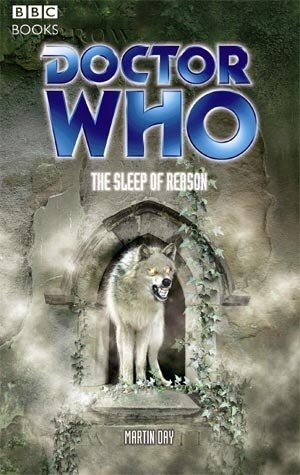 When the Doctor loses both Sam and the TARDIS after an encounter with a mysterious dimensional anomaly, he finds himself affected in a very fundamental way, doubting his own powers and making crucial errors of judgment. 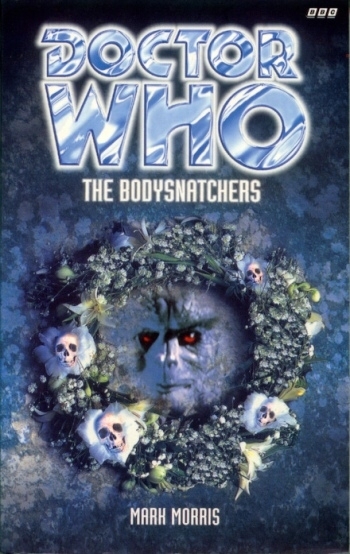 Stranded amongst the forests and lakes of southern Sweden in the summer of 1999, it quickly becomes clear to the Doctor and Fitz that something unusual -- and dangerous -- is afoot. Fitz finds himself acting the hero as the search for Sam gets them involved with investigations into strange disappearances - and manifestations of even stranger creatures. Events quickly spiral out of control as the Doctor and Fitz become entangled with a secret deep beneath the forest, a secret which could save Sam and an entire doomed alien race -- but destroy the Earth in the process. San Francisco has changed since the start of 2000. The laws of physics keep having acid flashbacks. There are sightings of creatures from outside our dimensions, stranded aliens and surrealist street performers. The city has become a mecca for those who revel in impossible creatures -- and those who want to see them pinned down and put away. Sam’s past is catching up with her - a past she didn’t know she had. 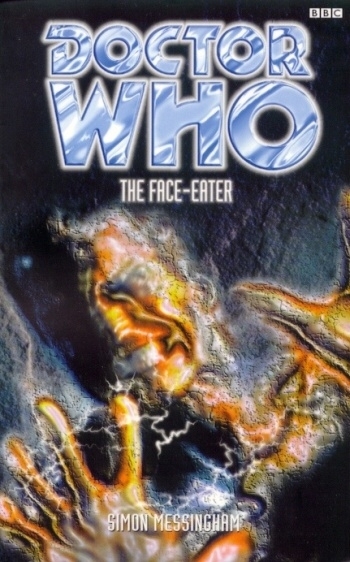 The Doctor is in danger of becoming the pièce de résistance in a twisted collection of creatures. And beneath the waters of the Bay, something huge is waiting. 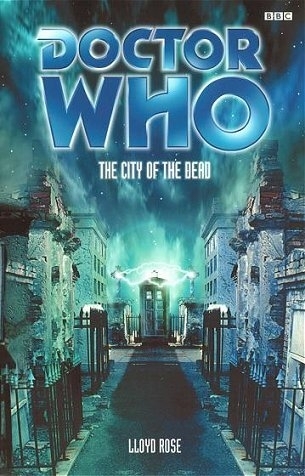 With time running out, the Doctor must choose which to sacrifice -- a city of wonders, or the life of an old and dear friend. The Ardennes, December 1944: the Nazi forces are making their last offensive in Europe -- a campaign which will come to be called the Battle of the Bulge. But there is a third side to this battle: an unknown and ancient force which seems to pay little heed to the laws of nature. Where do the bodies of the dead disappear to? What is the true nature of the military experiments conducted by both sides? Five years ago, Sam Jones was just a schoolgirl from Shoreditch. Of course, that was before she met up with the Doctor and found out that her entire life had been stage-managed by a time-travelling voodoo cult. Funny how things turn out, isn’t it? Now Sam’s back in her own time, fighting the good fight in a world of political treachery, international subterfuge, and good old-fashioned depravity. But she’s about to learn the first great truth of the universe: that however corrupt and amoral your own race might be, there’s always someone in the galaxy who can make you look like a beginner. 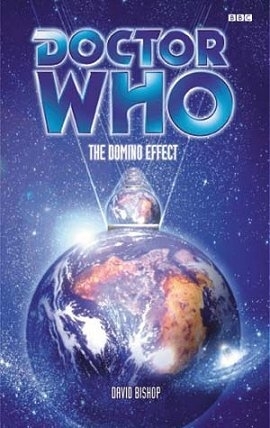 Ms Jones has just become a minor player in a million-year-old power struggle... and as it happens, so has the Doctor. They call it the Dead Frontier. It’s as far from home as the human race ever went, the planet where mankind dumped the waste of its thousand-year empire and left its culture out in the sun to rot. 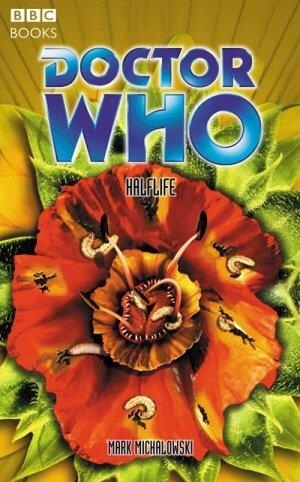 But while one Doctor faces both his past and his future on the Frontier, another finds himself on Earth in 1996, where the seeds of the empire are only just being sown. 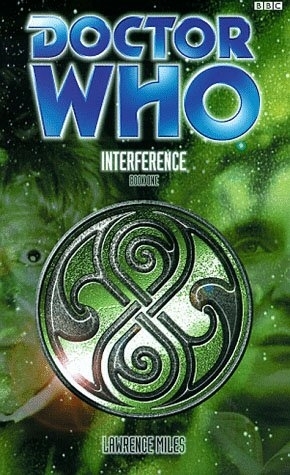 The past is meeting the present, cause is meeting effect, and the TARDIS crew is about to be caught in the crossfire. Twelve million years ago, a war touched the Earth briefly. Now, in Antarctica, an archaeological team has discovered the detritus of the conflict. And it’s alive. Twelve million years ago, a creature evolved that was capable of consuming all life in the universe. Now someone, or something, is desperate enough to want to revive it. Outside the ordered universe, things move. They’re hungry. And something has given them the scent of our space/time. 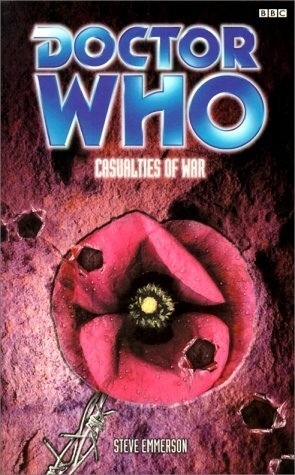 In the far future, the Doctor has learnt of the war and feels he must intervene -- but it’s more than just a local conflict of interest. One of the groups of combatants is from his own future, and the other has never, ever, existed. 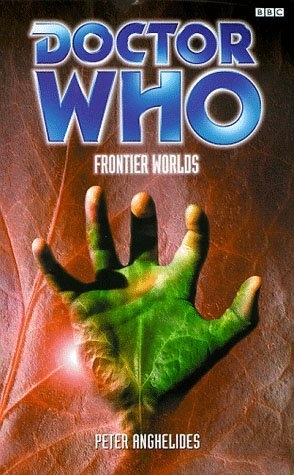 He discovers that scientists from the mysterious Frontier Worlds Corporation have set up a base on the planet, and are trying to blur the distinction between people and plants. 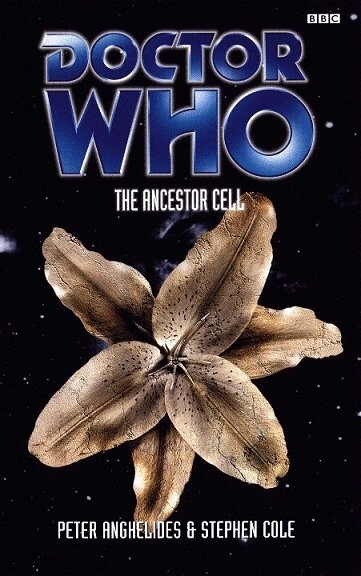 The TARDIS crew plan to prevent a biological catastrophe -- but their plan goes wrong all too soon. For something else has been lured to Drebnar, something that Frontier Worlds Corporation will ruthlessly exploit without care for the consequences -- an ancient organism which threatens to snuff out Drebnar’s solar system. 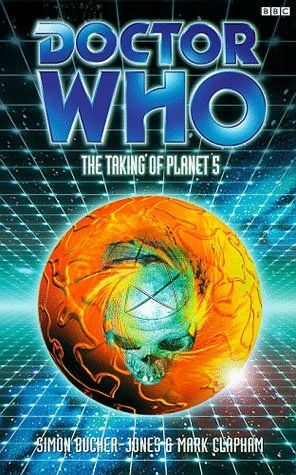 Fleeing a doomed space station in tiny life capsules, the Doctor and Compassion find themselves prisoners of Parallel 59, a militaristic power on the planet Skale. Meanwhile Fitz finds himself apparently safe in Mechta, a colony for convalescents. A space race is in full swing on Skale, with each of the planet’s many blocs desperate to be first to reach the stars. 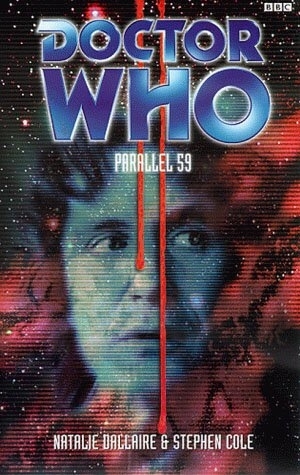 If the Doctor’s knowledge helps Parallel 59 to succeed, the consequences for the rest of the world could be devastating. But Fitz knows nothing of his friends’ predicament. Enjoying his new life, he’s not even sure he wants to be rescued -- which is a good thing. Because the Doctor has no intention of going to Mechta. He’s decreed that Fitz’s new-found utopia must be totally destroyed. Now it seems they’ll have to make a new life for themselves with the Celts who live in the Dreamlands. Perhaps even help in the Celts’ negotiations with the Unseelie, the sinister original inhabitants of Avalon, who live far to the North. But then a gateway opens between Earth and Avalon. The British Army arrives in force. And the Brigadier negotiates a treaty that will lead to war in the Land of Dreams. Yquatine -- cultural, political and economic centre of the Minerva System. A planet with a month to live. Fitz knows. He was there when Yquatine fell. 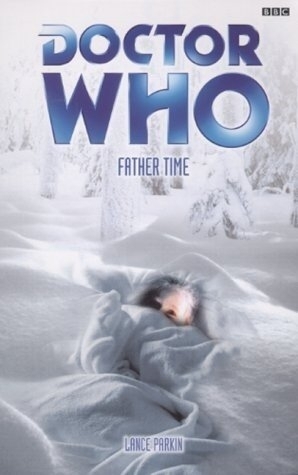 Now, trapped a month in the past, he doesn’t know if the Doctor survived. He doesn’t know where Compassion has gone. He doesn’t know who the invaders will be. But he does know the date and time when he will die with the millions of others. The Doctor teams up with Lou Lombardo -- part-time dodgy temporal gadget salesman and full-time pie seller. Compassion is lost in time and space. And Fitz is living out his final days working in a seedy cocktail bar, where he meets Arielle, the President’s runaway girlfriend. But is she really the best person to shack up with? 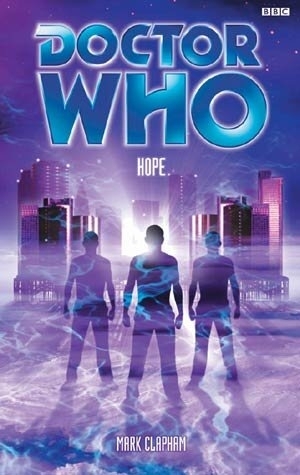 The Doctor, Fitz and Compassion arrive on the planet Eskon -- a strange world of ice and fire. Far beneath the planet’s burning surface are vast lakes frozen solid by the glacial subterranean temperature. But the civilised community that relies on the ice reservoirs for its survival has more to worry about than a shortage of water. The hideous slimers -- degenerate mutations in the population -- are growing more hostile by the moment, and their fanatical leader will stop at nothing to exact revenge against those in authority. But what connects the slimers to the unknown horror that lurks deep beneath the ice? And what is the terrible truth that the city leaders will do anything to conceal? 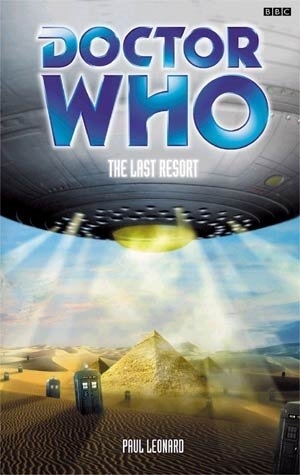 To unearth the ugliest secrets of Eskon, the TARDIS crew becomes involved in a desperate conflict. 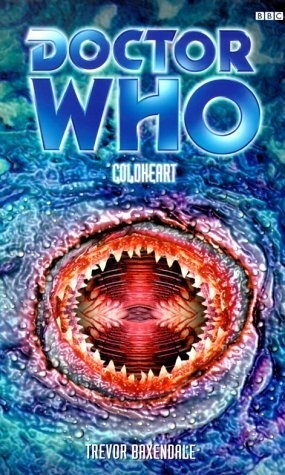 While Fitz is embroiled in the deadly plans of the slimers, the Doctor and Compassion must lead a danger-frought subterranean expedition to prevent a disaster that could destroy the very essence of Eskon... its cold heart. This is the city: a technological paradise built by an advanced race. Its glittering towers reach proudly for the stars, and its spires are looped by elevated roadways. The people that lived here were enlightened and contented. They travelled in bubble-topped saucer cars, along moving pavements or in anti-gravity tubes. Obedient robots tended to their every whim. Disease, war, famine and pollution had been eradicated. Food machines synthesised all essential nutrients into pill form, and personal rocket ships brought the solar system within reach. The people of the city befriended Venusians and Martians alike. The city is self-cleansing. Its systems harness solar power and static electricity. Its buildings are constructed from a metal that will never rust or tarnish. It will stand forever as a monument to the achievements of the human race. This is Earth. The year is 2000 AD. This is your future. Banquo Manor -- scene of a gruesome murder a hundred years ago. Now history is about to repeat itself. 1898 -- the age of advancement, of electricity, of technology. Scientist Richard Harries is preparing to push the boundaries of science still further, into a new area: the science of the mind. Pieced together at last from the accounts of solicitor John Hopkinson and Inspector Ian Stratford of Scotland Yard, the full story of Banquo Manor can now be told. Or can it? Even Hopkinson and Stratford don’t know the truth about the mysterious Doctor Friedlander and his associate Herr Kreiner -- noted forensic scientists from Germany who have come to witness the experiment. And for the Doctor, time is literally running out. He knows that Compassion is dying. He’s aware that he has lost his own ability to regenerate. He’s worried by Fitz’s fake German accent. And he’s desperate to uncover the Time Lord agent who has him trapped. The late nineteenth century -- the age of reason, of enlightenment, of industrialisation. Britain is the workshop of the world, the centre of the Empire. Progress has left Middletown behind. The tin mine is worked out, jobs are scarce, and a crack has opened across the moors that the locals believe reaches into the depths of Hell itself. But things are changing: Lord Urton is preparing to reopen the mine; the Society for Psychical Research is interested in the fissure; Roger Nepath and his sister are exhibiting their collection of mystic Eastern artefacts. People are dying. Then a stranger arrives, walking out of the wilderness: a man with no name, no history. Only one man can unravel the mysteries; only one man can begin to understand the forces that are gathering; only one man can hope to fight against them. And only one man knows that this is just the beginning of the end of the world. Only one man can stop The Burning. In the North Yorkshire village of Hawkswick, it seems that the dead won’t stay down. There are reports of horrifically wounded soldiers on manoeuvres in the night. Pets have gone missing, and now livestock is found slaughtered in the fields. Suspicion naturally falls on nearby Hawkswick Hall, a psychiatric hospital for shell-shocked soldiers, where Private Daniel Corey senses a gathering evil. As events escalate, a stranger arrives on the scene. Can this Man from the Ministry solve the mystery of Hawkswick? And can Hawkswick solve the mystery that is this Man from the Ministry? The Second World War is drawing to a close. Alan Turing, the code-breaker who has been critical to the allied war effort, is called in to break a mysterious new cypher. 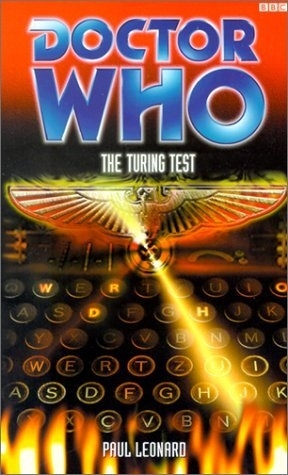 It’s coming from Germany, and everyone assumes it is German -- everyone except Turing's new friend, the Doctor, indeed it seems the Doctor knows too much about the code and the code-makers -- and when people start to die, even Turing wonders it the Doctor is the one to blame. 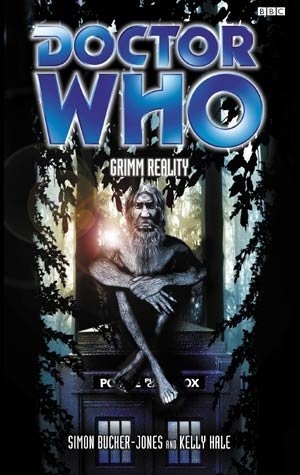 Graham Greene, novelist and spymaster, has also encountered the Doctor, and thinks he’s a rum enough chap, but in a remote African village he has encountered something far stranger. Winning is everything -- and nothing. Losing is nothing -- and everything. All that matters is the game. The Players have decided on an Endgame. Play ends only when one side has been annihilated -- even if the entire planet is destroyed in the process. They weren’t expecting the Doctor to be one of the pieces -- and neither was he. He really doesn’t want to get involved. The Doctor doesn’t know who he is -- but he’s fast ceasing to care. Caught up in ennui, nothing seems to matter to him any more. He has no interest in the Cold War, in spies or double agents or secret documents. Earth in the nineteen-eighties is a battleground. Rival alien factions have travelled from the far future to pursue their vendetta. 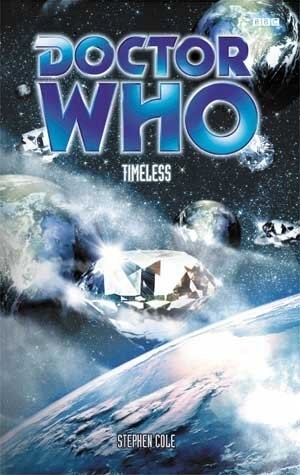 With UFOs filling the skies, a giant robot stalking the Derbyshire hills, and alien hunters searching for the mysterious Last One, the Doctor is the only man who can protect the innocents caught in the crossfire. 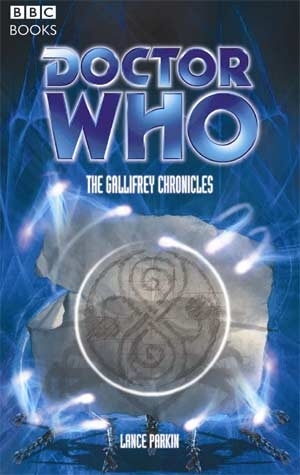 But old scores are being settled, the fate of a Galactic Empire is at stake, and, against his will, the Doctor is drawn into a decade-long war that will strike at those he holds most dear. The Doctor has lost his memory, his friends, his past and his TARDIS. All he has now is the love of his daughter. But will even that be taken from him? ‘You know me then?’ asked the Doctor, a little tentatively. ‘You’re the Doctor,’ replied Fitz, a slight frown worming its way on to his forehead. ‘Yes, yes, yes, the Doctor, of course I am.’ The Doctor smiled, genuinely pleased to see a familiar face, even if for the moment he couldn’t quite put a name to it. ‘But, er, Doctor who?’ he added, hopefully. The Doctor and Fitz are back together at last, but the Doctor is not the man he once was -- which is a shame, because Fitz has promised Anji Kapoor that his old friend is Anji’s best hope of finding her alien-abducted boyfriend, Dave. 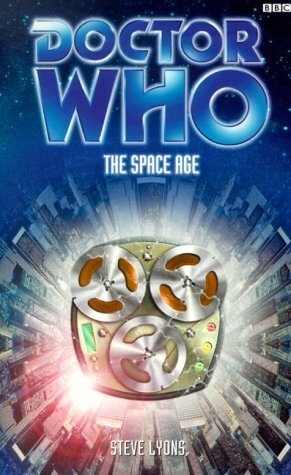 Soon the Doctor, Fitz and Anji find themselves involved in a desperate contest between Pierre-Yves Dudoin and Arthur Tyler the Third, each determined to be the first privately funded man in space. 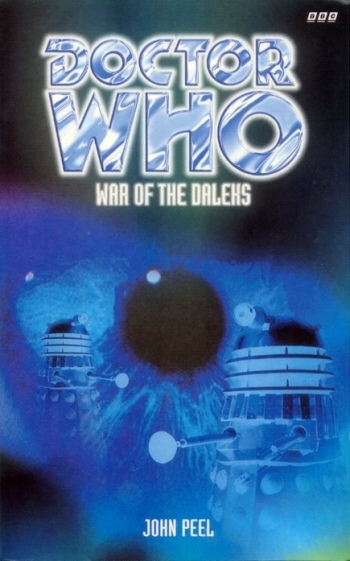 But not all the parties are playing fairly: members of an alien race called the Kulan are helping the Frenchman - and at the far reaches of the Solar System their battle fleet awaits... Can the Doctor find Dave before the alien contact proves fatal? Who are the secret agents keeping tabs on the rival Space Race teams? Will the Doctor’s mysterious blue box finally reveal its purpose? 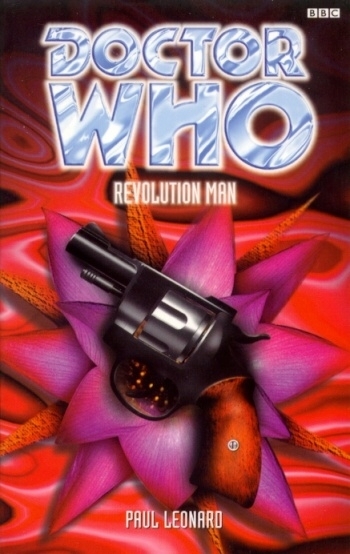 And does the Doctor, now truly a man without a past, have what it takes to stop the Kulan Invasion of Earth...? Anji Kapoor has just had the worst week of her entire life, and things aren’t getting any better. She should be back at her desk, not travelling through time and space in a police box with a couple of strange men. The Doctor (Strange Man No. 1) is supposed to be returning her to Soho 2001 AD. So quite why there are dinosaurs outside, Anji isn’t sure. Sad sixties refugee Fitz (Strange Man No. 2) seems to think they’re either in prehistoric times or on a parallel Earth. And the Doctor is probably only pretending to know what’s going on -- because if he really knew, surely he would have mentioned the homicidal triplet princesses, the teen terrorists, the deadly android doubles (and triples) and the hosts of mad robots? Unnatural deaths are being visited on the people. Campaigns of terror threaten to tear this world apart. It seems that the prophecy of the Vanishing Point where all life shall meet all death under the Creator’s aegis is coming to pass. For when God exists, prophecy, however fantastic or deadly, is fact. The TARDIS lands in the sleepy English village of Marpling, as calm and peaceful as any other village in the 1930s. Or so it would seem at first glance. But the village is about to get a rude awakening. 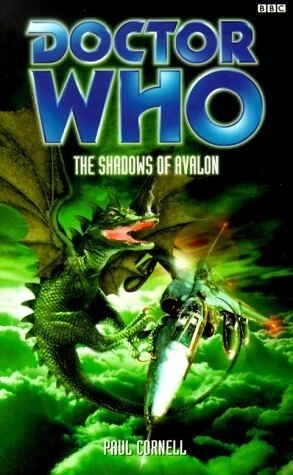 The Doctor and his friends discover they aren’t the only time-travellers in the area: a crack commando team is also prowling the Wiltshire countryside, charged with the task of recovering an appallingly dangerous artefact from the far future -- and they have orders to destroy the entire area, should anything go wrong. 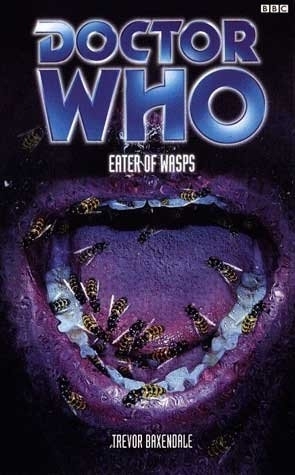 And then there are the wasps... mutant killers bringing terror and death in equal measure. What is their purpose? How can they be stopped? And who will be their next victim? 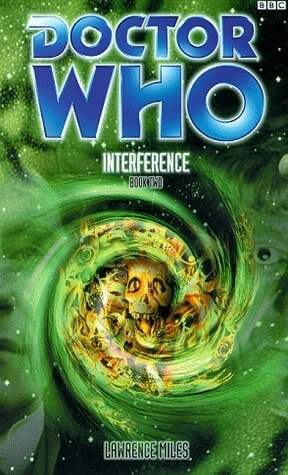 In the race to stop the horror that has been unleashed, the Doctor must outwit both the temporal hit squad, who want him out of the way, and the local police -- who want him for murder. The weather is going to hell. The tigers are coming to town. And the Doctor has taken his violin and vanished. The island world of Hitchemus is home to a colony of musicians and seemingly harmless alien animals. 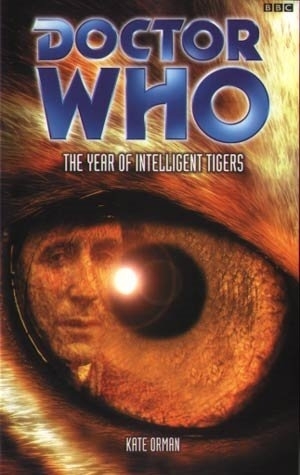 When the storms and the tigers break loose, the Doctor tries to protect the humans -- but the humans don’t want him. When he ventures into the wilderness in search of the tigers’ secrets, Fitz and Anji find themselves on their own, trying to prevent a war. With both sides eager for blood, and hurricanes on the horizon, the Doctor must decide whether this time he’s on the side of the human race. 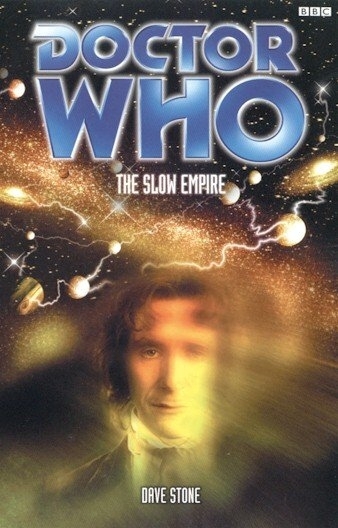 Enter, with the Doctor, Anji and Fitz, an Empire where the laws of physics are quite preposterous -- nothing can travel faster than the speed of light and time travel is impossible. A thousand worlds, each believing they are the Centre, each under a malign control of which they themselves are completely unaware. 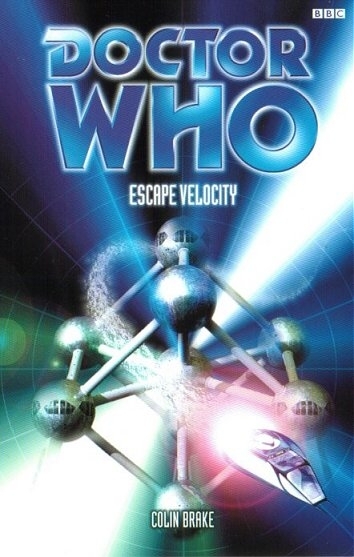 As the only beings able to travel between the worlds instantaneously, the Doctor and his friends must piece together the Imperial puzzle and decide what should be done. The soldiers of the Ambassadorial Corps are always, somehow, hard on their heels. Their own minds are busily fragmenting under metatemporal stresses. And their only allies are a man who might not be quite what he seems (and says so at great length) and a creature we shall merely call... the Collector. The planet Ceres Alpha is being ‘developed’. The surface crawls with gigantic city-machines that are churning and rebuilding the world, seeding it with tomorrow’s vegetation so that full-scale colonisation can follow. But Gaskill Tyran, head of the biosphere-engineering WorldCorp, is finding things more difficult than he would like. The whole project seems to be falling apart under an ever-increasing burden of mysteries. Why has a batch of strange babies been born with telekinetic powers? Why won’t the terraforming go according to plan? Why are there more and more problems with the comp systems that run the city-machines? It seems there may be conspirators. A rival Corporation with its eye on the contract for Ceres Alpha. And Tyran’s patience is now wearing thin. But then he gets his answer. A mysterious infiltrator known only as the Doctor. “Nothing can get into the TARDIS,” the Doctor whispered. Then he realized that Nothing had. New Orleans, the early 21st century. A dealer in morbid artifacts has been murdered. A charm carved from human bone is missing. An old plantation, miles from any water, has been destroyed by a tidal wave. Anji goes dancing. Fitz goes grave-robbing. 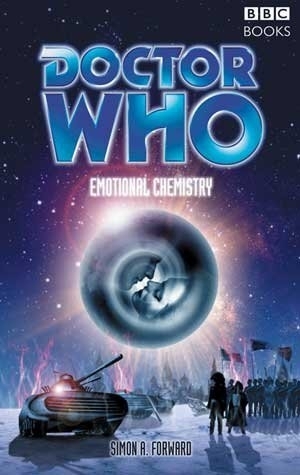 The Doctor attracts the interest of a homicide detective and the enmity of a would-be magician. He wants to find out the secret of the redneck thief and his blind wife. He’d like to help the crippled curator of a museum of magic. He’s trying to refuse politely the request of a crazy young artist that he pose naked with the man’s wife. Most of all, he needs to figure out what all of them have to do with the Void that is hunting him down. Before it catches him. There is a world where wishes can come true. Where any simpleton can become a king and any scullery maid might be a princess in disguise. Kindness and virtue are rewarded, and the wicked are made to dance in red-hot shoes until they die. But a witch’s oven will cook both the virtuous and the wicked alike, and many a frog-prince is crushed beneath the wheels of a cart before he gets that magic kiss. This world has its own rules and it doesn’t care that a certain Doctor Know-All and his friends don’t know them. Now other outsiders have come to the world -- traders from the stars seeking the treasures that fell from the rip in the sky. There are riddles to be solved, contests to win, flax to spin. The world to survive. But the World of Wishes is itself in danger from a race of beings with only one wish. And there is a Princess asleep, and a beast awake -- and Giants. On February 9, 1783, a funeral was held in the tunnels at the dead heart of London. It was the funeral of a warrior and a conjurer, a paladin and an oracle, the last of an ancient breed who'd once stood between the Earth and the bloodiest of its nightmares. Her name was Scarlette. Part courtesan, part sorceress, this is her history: the part she played in the Siege of Henrietta Street, and the sacrifice she made in the defence of her world. In the year leading up to that funeral, something raw and primal ate its way through human society, from the streets of pre-Revolutionary Paris to the slave-states of America. Something that only the eighteenth century could have summoned, and against which the only line of defence was a bordello in Covent Garden. ‘Grrrrr.’ - The greatest book ever written. Professor Reginald Tyler’s The True History of Planets was a twentieth-century classic; an epic of dwarves and swords and wizardry. And definitely no poodles. Or at least there weren’t when the Doctor read it. 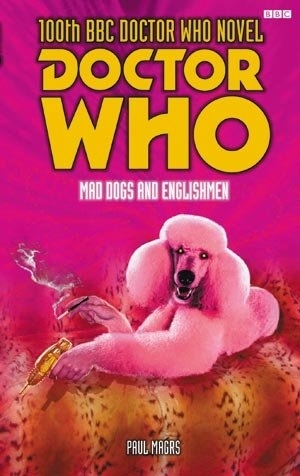 Now it tells the true tale of how the Queen of the poodles was overthrown; it’s been made into a hit movie, and it’s going to cause a bloodbath on the Dog World -- unless the Doctor, Fitz and Anji (and assorted friends) can sort it all out. 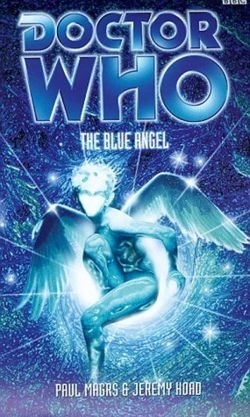 The Doctor infiltrates the Smudgelings, Tyler’s elite Cambridge writing set of the early twentieth century; Fitz falls for flamboyant torch singer Brenda Soobie in sixties Las Vegas, and Anji experiences some very special effects in seventies Hollywood. Their intention is to prevent the movie from ever being made. But there is a shadowy figure present in all three time zones who is just as determined to see it completed... so the poodle revolution can begin. In the far future, the city of Hope isn’t a place for the weak. The air is thick with fog. The sea burns. Law and order are a thing of the past. Headless corpses are being found at the edge of the city, and the militia can’t find the killer. Members of a deranged cult mutilate themselves while plotting the deaths of their enemies. Even the Doctor can’t see any possibility of redemption for this cursed place. 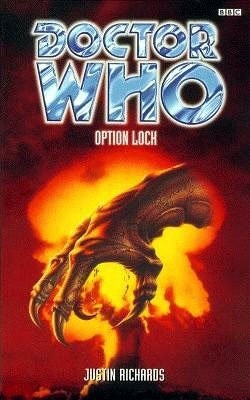 All he wants to do is leave, but to do so he needs the TARDIS -- and the TARDIS is lost in the depths of a toxic sea. When the most powerful man on the planet offers to retrieve the TARDIS -- for a price -- the Doctor has no choice but to accept. Imagine a war. A war that has lasted centuries, a war which has transformed an entire planet into a desolate No Man’s Land. A war where time itself is being used as a weapon. You can create zones of decelerated time and bring the enemy troops to a standstill. You can create storms of accelerated time and reduce the opposition to dust in a matter of seconds. But now the war has reached a stalemate. Neither the Plutocrats nor the Defaulters have made any gains for over a hundred years. The Doctor, Fitz and Anji arrive at Isolation Station Forty, a military research establishment on the verge of a breakthrough. A breakthrough which will change the entire course of the war. The early decades of the twenty-first century. All the wars have been won. There are no rogue states. The secret services of the world keep the planet electronically monitored, safe from all threat. There is no one left for the United States and the Eurozone to fight. Except each other. ...either that, or someone could keep the technology for themselves, and use it to fight the ultimate war. The Book of the Still is a lifeline for stranded time travellers -- write your location, sign your name and be instantly rescued. When the Unnoticed learn that within the book someone has revealed both their existence and whereabouts they are forced into murderous intercession to find it. Fitz knows where it is, but then he’s the one who stole it. Carmodi, addicted to the energies trapped in frequent time travellers, also knows where it is. But she’s the one who’s stolen Fitz. Anji, alone on a doomed planet, trying to find evidence of a race that has never had the decency to exist, doesn’t know where anybody is. Take Streaky Bacon, for example. This jovial farmer wants nothing more from life than a huge blunderbuss, with which he can blast away at his crop-stealing nemesis. And then there's Angel Falls, a racing driver with a string of victories to her name. Sure, her trusted guardian might occasionally put on a mask and menace her for her prize money, but that's just life, right? And for Jasper the cat, nothing could be more pleasant than a nice, long nap in his kitchen -- so long as that darn mouse doesn't jam his tail into the plug socket again. But somebody is about to shatter all those lives. Somebody is about to change everything -- and it's possible that no one on the Crooked World will ever be happy again. The Doctor's TARDIS is about to arrive. And when it does... That's all folks! Spain, 1937. In April, the small town of Guernica was razed to the ground in a firestorm that claimed a thousand or more lives. In May, Barcelona exploded into fierce street fighting as different political factions fought for control of the city. Both events have been the subject of fierce propagandist claims by all sides, but this book examines new evidence to suggest that the two events are more closely linked than previously thought. Who were the shadowy figures working behind the scenes? Who were ‘the Doctor’, ‘Anji’ and ‘Fitz’ and what were their objectives? And were there really monsters roaming the streets? Presented in the form of a novel, History 101 tries to discover if the absolute truth can ever be revealed. 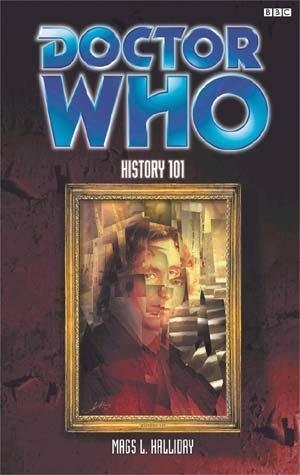 It should be read as part of the ongoing ‘Doctor Who: Eighth Doctor’ history course. The Doctor’s second heart was taken from his body -- for his own good, he was told. Removed by his sometime ally, sometime rival, the mysterious time-traveller Sabbath. Now, as a new danger menaces reality, the Doctor finds himself working with Sabbath again. From a seance in Victorian London to a wild pursuit on Dartmoor, the Doctor and his companions work frantically to unravel the mystery of this latest threat to Time... Before Time itself unravels. 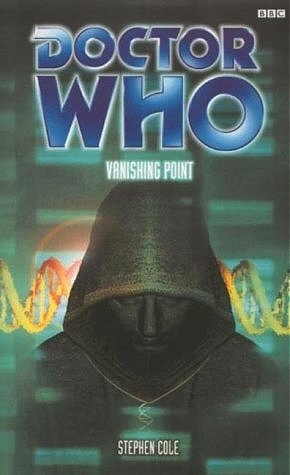 With Fitz gone to his certain death and Anji back at work in the City, the Doctor is once more alone. But he has a lot to keep him occupied. At the Naryshkin Institute in Siberia, scientists are busily at work in a haunted castle. Over a century earlier, creatures from a prehistory that never happened attack a geological expedition. Pages from the lost expedition’s journal are put on display at the British Museum, and a US spy plane suffers a mysterious fate. Deep under the snowy landscape of Siberia the key to it all remains trapped in the ice. Only the Doctor can see that these events are all related. But he isn’t the only person involved. Why is Colonel Hartford so interested in the Institute? Who is the mysterious millionaire who is after the journal? How is the Grand Duchess, descendent of the last Tsar, involved? 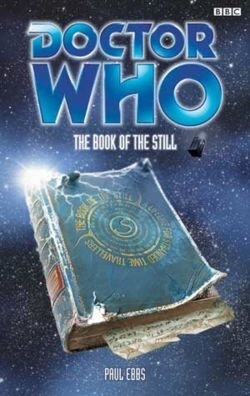 Soon the Doctor is caught up in a plot that reaches back to the creation of the Universe. And beyond... ...to Time Zero. Welcome to the Selonart Trans-Global Regatta -- The ultimate sporting event in the universe! The Doctor is in trouble. He has his own race to win. Stuck in a parallel dimension, pursuing the mysterious Sabbath, he must unravel a complex plot in which he himself may be a pawn. Following the only lead, the TARDIS arrives on Selonart -- a planet famed for the unique, friction-nullifying light water that covers its surface. A water that propels vast, technological yachts across its waves at inconceivable speeds. All in all, an indulgent, boastful demonstration of power by Earth’s ruthless multi-stellar corporations. Is Sabbath’s goal to win the race? Who is Bloom, the enigmatic Selonart native? 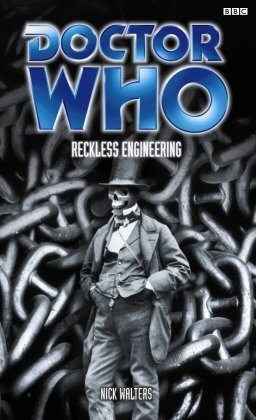 As the danger escalates, the Doctor realises that he is being manoeuvred into engineering his own downfall. Is it already too late for him? 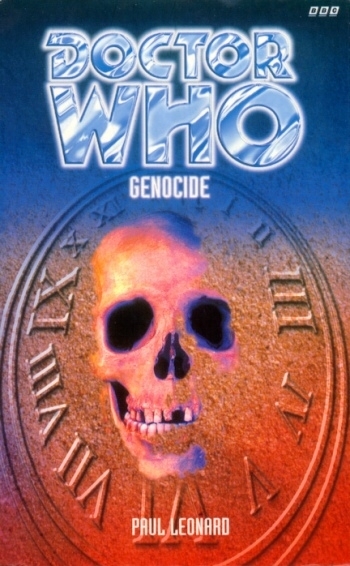 Within hours one of the Doctor’s friends is caught in a deadly explosion, while another appears on television confessing to the murder of twelve people. The TARDIS is stolen by forces intent on learning its secrets. When the Doctor tries to investigate, his efforts are hampered by crippling chest pains. Someone is manipulating events to suppress humanity’s development — but how and why? The trail leads to London where a cabal pushes the world ever closer to catastrophe. Who is the prisoner being held in the Tower of London? Could he or she hold the key to saving mankind? The history of the planet Earth has become splintered, each splinter vying to become the prime reality. But there can only be one true history. 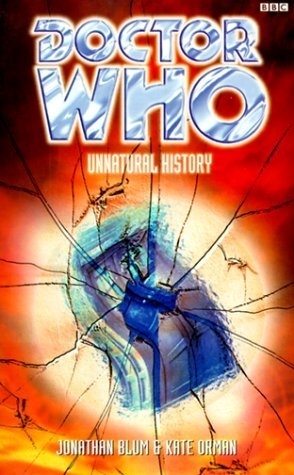 The Doctor has a plan to ensure that the correct version of history prevails -- a plan that involves breaking every law of Time. But with the vortex itself on the brink of total collapse, what do mere laws matter? From the Bristol riots of 1831, to the ruins of the city in 2003, from a chance encounter between a frustrated poet and Isambard Kingdom Brunel, to a plan to save the human race, the stakes are raised ever higher -- until reality itself is threatened. Anji isn’t sure, but then it’s hard to be sure of anything now. Good Times Inc. promised a new tourist experience, with hotels in every major period of human history -- but that kind of arrogance comes with a price, and it’s a price the Doctor doesn’t want to pay. The fuse has been lit. Reality has been blown apart, and the barriers that shield our universe from the endless others running parallel have shattered with it. The only chance the Doctor has of saving the multiverse from total collapse is if he can get back to Earth -- where the damage was first done -- and put things right. With time running out, the Doctor finally understands why ‘our’ universe is unique. In proving it, he nearly destroys the TARDIS and all aboard -- and becomes involved with the machinations of the mysterious Timeless organisation. They can fix your wildest dreams, get away with murder and bring a whole new meaning to the idea of victimless crime. Soon, Fitz and Trix are married, Anji’s become a mum, and an innocent man is marked for the most important death in the universe’s long history. 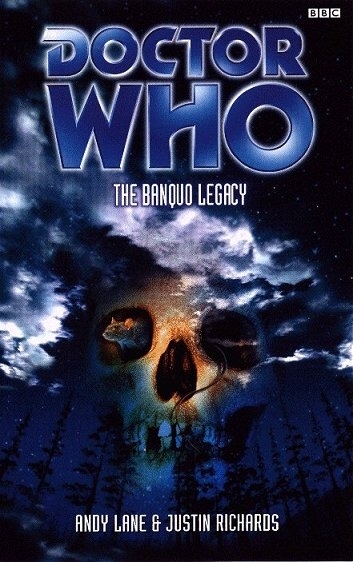 The reasons why force the Doctor into a deadly showdown in a killing ground spawned before time and space began. 1812. The Vishenkov household, along with the rest of Moscow, faces the advance of Napoleon Bonaparte. At its heart is the radiant Dusha, a source of strength and inspiration -- and more besides -- for them all. Captain Victor Padorin, heroic Hussar and family friend, meanwhile, acts like a man possessed -- by the Devil. 2024. Fitz is under interrogation regarding a burglary and fire at the Kremlin. 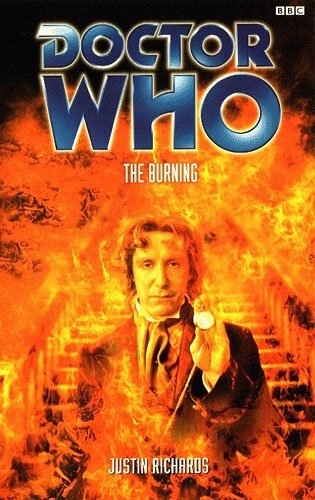 The Doctor has disappeared in the flames. Colonel Bugayev is investigating a spate of antique thefts, centred in Moscow, on top of which he now has a time-travel mystery to unravel. 5000. Lord General Razum Kinzhal is preparing to set in motion the closing stages of a world war. More than the enemy, his fellow generals of the Icelandic Alliance fear what such a man might do in peacetime. What can possibly bridge these disparate events in time? Love will find a way. But the Doctor must find a better alternative. Before love sets the world on fire. 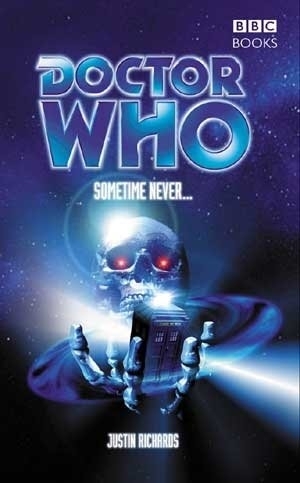 Sometime: In the swirling maelstrom of the Time Vortex, The Council of Eight map out every moment in history and take drastic measures to ensure it follows their predictions. But there is one elemental force that defies their prediction, that fails to adhere to the laws of time and space... A rogue element that could destroy their plans merely by existing. Already events are mapped out and defined. Already the pieces of the trap are in place. The Council of Eight know when Sabbath will betray them. They know when Fitz will survive the horrors in the Institute of Anthropology. They know when Trix will come to his aid. They know when the Doctor will finally realise the truth. They know that this will be: Never. The Terran colony world of Espero seems the unlikely source of a sophisticated distress call. And the Doctor, Fitz and Trix are not the only ones responding to it. 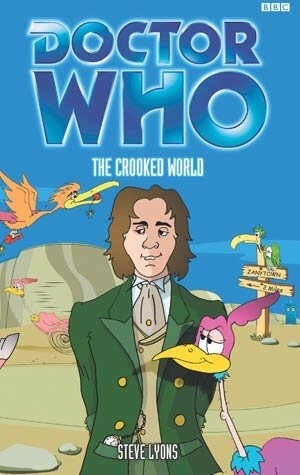 While Fitz consorts with royalty, the Doctor’s on the run with a 16-year-old girl, and Trix meets a small boy with a dark secret. 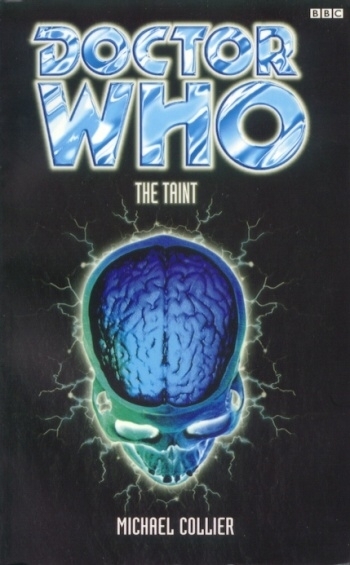 In a race for the minds and souls of an entire planet, the Doctor and Trix are offered temptations that may change them forever. At least one of them will be unable to resist. There’s a new exhibition at Tate Modern -- ‘The Tomorrow Windows’. The concept is simple: look through a Tomorrow Window and you’ll see into the future. You’ll get ‘The Gist of Things to Come’. According to the press pack, The Tomorrow Windows exhibition will bring about an end to war and suffering. Which is why someone decides to blow it up. 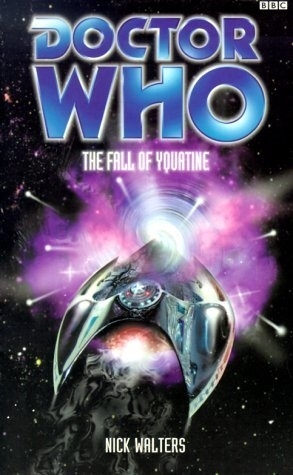 Investigating this act of wanton vandalism, the Doctor, Fitz and Trix visit an Astral Flower, the show-world of Utopia and Gadrahadradon -- the most haunted planet in the galaxy. They face the sinister Ceccecs, the gratuitously violent Vorshagg, the miniscule Micron and the enigmatic Poozle. And they encounter the doomsday monks of Shardybarn, the warmongers of Valuensis, the politicians of Minuea and the killer cars of Estebol. They also spend about half an hour in Lewisham. The near future: a man in a psychiatric hospital claims to be an alien time-traveller called ‘the Doctor’. He once adventured across countless galaxies, fighting evil. The past: an asylum struggles to change Victorian attitudes to the mentally ill. It catches fire in mysterious circumstances. There is no such thing as a good night. You may think you can hide away in dreams. Safely tucked up in bed, nothing can touch you. But, as every child knows, there are bad dreams. And bad dreams are where the monsters are. The Doctor knows all about monsters. And he knows that sometimes they can still be there when you wake up. And when the horror is more than just a memory, there is nowhere to hide. Even here, today, tonight... in the most ordinary of homes, and against the most ordinary people, the terror will strike. A young boy will suffer terrifying visions... ...and his family will encounter a deathless horror. 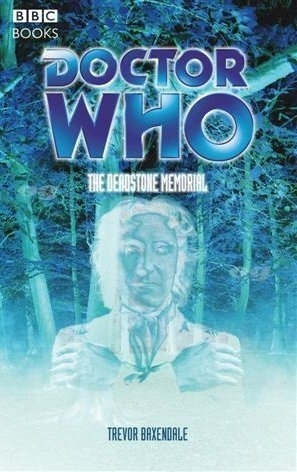 Only the Doctor can help -- but first, he must uncover the fearsome secret of the Deadstone Memorial. The solar system is being spring-cleaned, to improve its feng shui and attract big business back to the long-abandoned seat of Earth’s empire. Celebrity decoratiste Aristotle Halcyon is heading the campaign of controlled demolition. Having swept away the Asteroid Belt and the Oort Cloud, he now plans to make Jupiter more aesthetically pleasing by removing scores of ‘unnecessary’ moons. The stage is set for the ultimate confrontation -- for justice to be done. 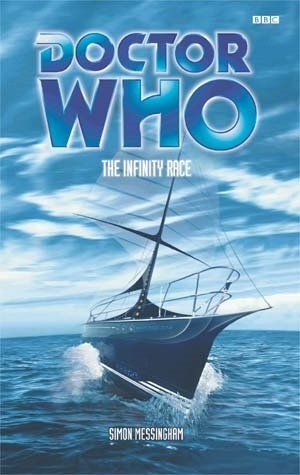 The Doctor and his companions Fitz and Trix will meet their destiny. And this time, the Doctor isn’t going to be able to save everyone.